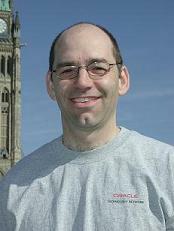 Mike Keith has been an object-oriented programming and persistence expert for over 20 years. He co-lead the expert group that produced the first release of the Java Persistence API (JPA) and co-authored the premier JPA reference book, Pro EJB 3: Java Persistence API, followed up with Pro JPA 2: Mastering the Java Persistence API. He works at Oracle as a Java architect and has represented Oracle on numerous expert groups and specifications, including the Java EE platform expert group. He is the project lead of the Eclipse Gemini project that produces reusable enterprise modules supporting Java EE-based applications.